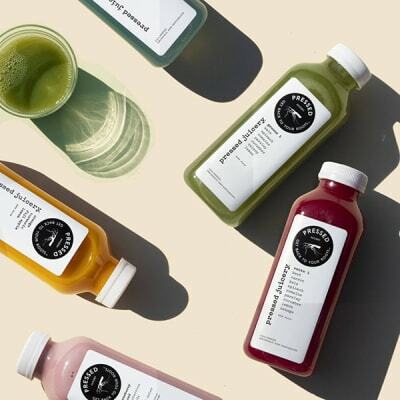 Pressed Juicery was born out of the idea that in order to find fulfillment and balance each day, modern people need to be armed with a fresh set of tools that are simple, convenient, and tailored to their hectic schedules. Pressed Juicery’s drinks are blended daily and personalized to your lifestyle. Pressed Juicery will be located on The Patios across from the Apple Store. House of Bounce is a children's learn and play center that offers an array of stimulating activities geared towards children 10 and younger. There is an enclosed arena including trampolines that promotes exercise, children's zip line course, slides ending into a ball pit, climbing stations and interactive video systems that all have learning programs to stimulate the minds of younger children. House of Bounce's new location is located on level 2 next to LensCrafters. Tycam Marketplace offers some of the best local handmade crafts and products! Tycam Marketplace is located on level 2 next to Sweet Factory. MINISO is a Japan-based, designer brand that places value on their quality, simplistic design, and low price. The global brand operates in over 40 countries, and has over 1,800 stores across the globe. Following their fast-fashion style, the company also launches new products every week - keeping up with trends. Miniso uniquely combines fashion and simplistic lifestyle to give quality products at affordable price. Miniso is located on level 1 next to Justice. For both adults and children, a session at Bitter Root Pottery is meant to encourage a few moments of peace and Zen; an escape from our hectic lives by way of creativity. In just one session at Bitter Root Pottery, our hope is that you can take this respite to not only begin learning the process of clay, but to also carry this feeling into your day-to-day. Bitter Root Pottery is located on The Patios next to outdoor PlaySpace. Every day, Tokyo Japanese Lifestyle customers enjoy browsing the store because they find new and amazing items. You will continually be surprised to find interesting items to amaze you, your friends and family with over 4000 items in the JLS and JO stores, you may need more than a day to view all the interesting items. Tokyo Japanese Lifestyle is located on Level 1 near Macy's. At Honeymee, they are passionate and committed to serving soft, creamy ice cream drizzled with quality honey to brighten up your day. Their fresh, California milk is from a family-owned, kosher certified dairy factory and they don’t add any artificial colors or flavors to their ice cream. Honeymee will be located on level 1 near JCPenney's.